Why did you join the FFN Board & what do you love most about the organisation? The ability to support youth in agriculture at a national level was appealing to me given the key issues faced by young workers and agricultural entrepreneurs are consistent across Australia. The FFN has the ability to harness feedback based on what is being experienced by members nationally and support them by providing tailored solutions. I joined the Board to contribute to this supporting role the organisation takes and to try and reciprocate the help I received from so many young farmers since entering the industry, which I am now very passionate about. What do you think has shaped your career, or had significant influence over where you are today? I think not being too rigid in your aspirations is important as when opportunities pop up, they will rarely be in the exact form you had in mind. Whether it’s a different product, species, location or even a different role, I think these new opportunities are always worth considering. Often, they turn out to be far better than you anticipated. 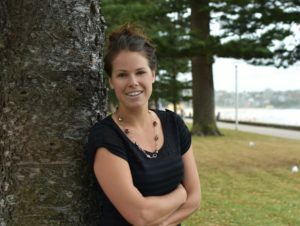 What was it like transitioning your career from corporate Perth to regional Australia? For me the transition has only been 30 minutes out of Perth city to Fremantle, so I can’t say it required much adjustment! But now having connections to regional agricultural in WA I can say I have learnt the importance of taking a community mindset. This is something I bring now to my work regardless of where I am stationed as it consistently delivers ‘win-win’ outcomes for everyone involved. In your experience in the fishing industry, what are some of the biggest challenges facing the next generation? I think it is going to be important for all primary producers (both land and sea) to take a wider ecosystem approach to managing sustainably in their operations. It is not enough to manage your impact to the ‘farm-gate’ as consumers are now demanding more. By working together primary producers can better meet consumer expectation and jointly consider what changes they may need to make to protect their long-term position in the industry. What excites you about the future of agriculture in Australia? There are plenty of talented and driven young people giving it a crack in the industry with a culture of innovation that seems to be deep seeded in the industries youth. Provided these people get the support they need I see no reason as to why Australia can’t continue to strengthen our position as a leader in global agriculture. Starting up a new business, returning to a family business or simply reviewing a current business structure can be an overwhelming process. In particular, the varying business structures available to you under the lens of agriculture can come across as complicated. 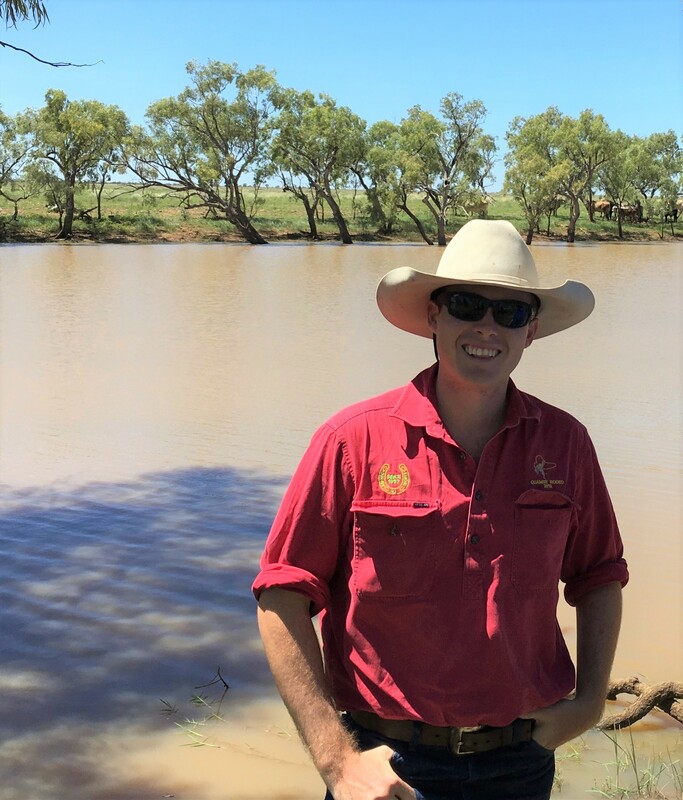 Future Farmers Network and their partner CQU Australia are pleased to be delivering a short webinar on 2 May for young agriculture professionals that provides a top-level overview of Agricultural Business Structures. Whether you’re setting up your own agricultural business or walking into an existing one, this short 30 minute webinar will give you the skills you need to understand the most common top-level agricultural business structures. The webinar will be led by CQU Australia lecturer, Desley Pidgeon – a qualified financial planner who has worked predominately in Agribusiness banking. The session will provide the introduction to the most common business structures in Australia, briefly touching on the pros and cons of each with a focus on tax implications within the structures. The session will conclude with questions that you will need to consider when deciding on the best structure for your current situation and/or what you might do in the future. FFN and CQU invite you to submit questions through the registration process so that we can adapt the webinar appropriately. Registration: Click here to register for free & receive the link required to join the webinar. Desley raised on a dairy farm, continued her interest in agriculture studying at UNE. While working on a project realised that really mathematics was her thing. Retrained, restudied and has taught in three states over the last 25+ years. For a break retained and qualified as a financial planner, working predominately in the Agribusiness side of a bank. Currently has followed her passion for education and is now working at CQU. With special thanks to FFN Partner RuralBiz Training for supplying the webinar platform. I grew up on a mixed-enterprise farm near Dubbo, NSW, where we have dryland and irrigated farming as well as commercial sheep and cattle and a Merino Stud. As one of four children, we are very lucky to have parents who have empowered us to be involved in the business if we choose to but who have also encouraged us to go and expand our skill sets and try other things. 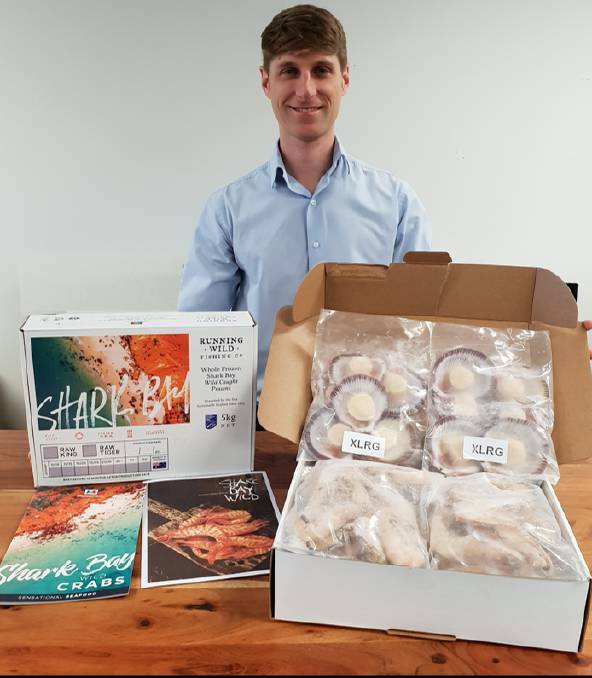 Whilst working in the city now, I am still very involved in our family business, particularly the Merino Stud and the launch of our new, branded Merino meat product. I joined FFN because I believe there is so much to be done in helping young people get involved and advance their careers in agriculture and so much benefit to the broader industry to be gained in doing so. We need a strong talent pool of young people to run our businesses, ensure greater innovation and technology adoption and continue improving the global reputation of Australian agriculture. I think educating and skilling young people up for their careers, and connecting them with mentors is vital to ensure we have a capable group of young people to run the ag industry in the future across all areas – production, logistics, finance, marketing, legal, policy etc. FFN does a great job achieving this: connecting diverse groups and linking young people with scholarships and training programs, facilitating mentoring, encouraging ideas sharing and networking through event promotion and hosting. Tell us about your career…how did you get from high-school to where you are today? I studied Agricultural Economics at Sydney University before working in business consulting and then going overseas. When I came back there was an opportunity to work on the delivery of a state-wide infrastructure fund in the office of the Deputy Premier and Minister for Regional NSW, John Barilaro. I really enjoyed this role, as it involved travelling throughout NSW working with businesses and industry bodies to build regional infrastructure – everything from bridges, industrial precincts to mobile black spot towers to a livestock exchange in Casino. I am now managing the broader Regional Development portfolio for the Minister, looking after other funds, programs and policies that fall under the banner of Regional Development. We are now in the design phase to build inland freight hubs and airports, faster rail, more mobile black spot towers, more timber bridges and roads, more industrial precincts etc. under the Snowy Hydro Legacy Fund. One of my favourite aspects of this job is that each day I am working with different industries, businesses, councils and community groups and thinking long-term and big-picture about the future needs of rural and regional NSW. This includes looking at ways the NSW government can invest in the industries that underpin our rural communities such as agriculture, services, logistics, manufacturing etc. and delivering infrastructure, transport, roads and telecommunications to facilitate the continued growth of these industries. My advice to anyone starting their career is to get as much work experience you can whilst at high school and university and also to get a good mentor who can help with tough decisions and provide general career advice. There is so much growth and change in the agriculture industry at the moment – from major changes in consumer demand to changes in how commodities are supplied, packaged, transported and consumed as well as the mechanisation of traditional forms of production. I think Australian farmers are well placed to respond to these trends, with significant opportunity to gain more margin at the farm-gate through value-adding, better branding and direct supply models, more efficient production and capitalising on Australia’s reputation for producing ethical, safe and quality commodities. New markets and value-added products will require new modes of marketing and distribution, from daigous to subscription services such as MeatMate and I can’t wait to see how Australia leads the charge in developing these alternative models, given that we have the means and impetus to do so. We are in a period of major investment in infrastructure, which will be crucial to minimising transport and freight times for our overseas exports. Inevitably, industries that are making money will attract both public and private investment in R&D and infrastructure, so I am looking forward to seeing how the ag sector will evolve with more resources underpinning it. At the same time, I am wary of the challenges Australian agriculture is currently faced with, from trade wars and price volatility, access to finance, climate change and domestic access to energy and water – all of which are impacting our ability to operate. I look forward to seeing the Australian ag industry find innovative ways to tackle these challenges – adopting technology, implementing new modes of production and processing, investing in R&D and increasing the productive capacity of our existing assets through improved management. Rabobank’s Southern Queensland & Northern New South Wales Client Council is partnering with the Future Farmers Network to support young agricultural producers. Rabobank are offering a place on their annual Farm Managers Program to one FFN Member or Young Beef Producer Forum attendee who displays a clear ambition and desire to help the sustainability of their industry and is someone who would benefit from business management training. The Rabobank Farm Managers Program, a one-week residential course held outside Christchurch NZ from 23-28 June 2019, is for up-and-coming farm managers from across Australia and New Zealand who want to take their management skills to the next level. The Farm Managers Program will help you to hone your management skills. You’ll leave this week-long program with greater confidence in your leadership skills. You’ll also be equipped with the ability to influence business decisions, and build your own network of young, progressive and passionate farmers. ** If you are not a member of the FFN but did attend the 2018 Young Beef Producers Forum in Roma November 2018 you are welcome to apply. Applications close Friday 26th April, 2019. Applicants will be advised of the result of their applications by 10th May, 2019. 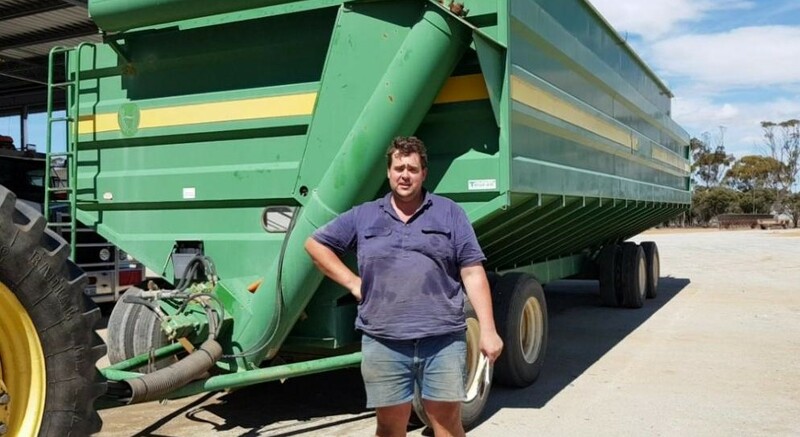 I grew up on a mixed sheep and wheat property in the Far West of New South Wales before moving on to Yanco Agricultural High School in the Riverina to complete my high school education. I completed a Bachelor of Agribusiness through the University of New England whilst working full time for Elders in varying wool roles across eastern Australia before moving into horticultural management at Southern Cross Farms based in Mildura. I have just completed my Master of Agribusiness through Marcus Oldham College and am actively involved in a small mixed farming enterprise. What was it like studying at Marcus Oldham College? I really enjoyed all of my tertiary education but completing my Master of Agribusiness through Marcus Oldham was incredibly enlightening. I got access to industry experts who were more than open in discussing their thoughts and opinions on everything from commodity marketing to human resource management and business strategy. Being able to complete my research into agricultural investment and be questioned over my ideas was a great experience and it has been incredibly beneficial to tie theory to real world applications. I joined the board for a number of reasons, I am incredibly passionate about agriculture and have enjoyed the opportunity to help promote the industry. I enjoy working with other board members and partners who I consider some of the best and brightest in the industry and am excited as to what future we as a team can help create. In your experience in agriculture as a whole, what are some of the biggest challenges facing the next generation? I think our challenge will be getting the right people with the capacity to change quickly and adapt to the dynamic changes we face not only on farm but throughout agricultural supply chains and agribusiness. I have been so fortunate to work in and observe sheep, grain, cattle, wool, almonds and pistachios, wine grapes, table grapes and avocados as well as travel throughout Asia and Europe to meet with customers and a number of the major challenges we face and will face are shared across all of these industries. However I am quite positive that with the experience we have in industries coupled with those looking to enter agriculture with new ideas we are set for a great future. You recently travelled overseas to Spain and Germany looking at orchards – any takeaways you can share with us? I recently with Southern Cross Farms, got the chance to travel through Europe to gain more of an understanding of fruit markets and citrus production. Although I learnt an enormous amount about these industry specialisations, the shared challenges we have across the globe in agribusiness in things such as labour, the environment and consumer expectations really hit home. The people we have wanting to get into agriculture will help set us up for the future. Looking at the board of directors of FFN we have everything from farmers to those involved in investment to legal professionals all wanting to help agriculture and agribusiness advance. I am from the Swan Valley in the Northern Suburbs of Perth in which my family had an interest in beef cattle. After completing high school, I studied agriculture at university with an aim to move into Farm Management. This career path has taken me around most of the wheatbelt of WA as I predominately work in mixed or continuous cropping operations. Why did you want to join the FFN Board? I joined the FFN board as I had been following the organisation on social media for some years. I met FFN’s Executive Officer at Perth Innovation Generation and was really interested in the organisation. When I realised had been following FFN’s social media accounts, without actually having any idea what this national group was about, I thought I had better join to help increase the national spread. Tell me about your career…how did you get from high-school to where you are today? I studied agricultural business at university completing an honours project. I then applied for jobs on farms and have worked my up from there. Have you had any great mentors throughout your career? If so who, and what made them so influential. I don’t per se have any great mentors. I have worked for some very good farmers and farm managers who I still keep in contact with. I have taken on board how they operate, to improve the way in which I operate. Probably the best way to sum up how I have ended up where I am is to take any opportunity that has been towards my aim. I have also moved on when these have not worked out. There are people who stay in the wrong job for too long and do not end up in a good place due to financial commitments. By having a good work ethic and not burning bridges I am able to pick and choose options. If you could go back and give your 18-year old self some career advice, what would it be? Listen to your own advice: sleep on any major decision before committing. In your experience in the farm management industry, what are some of the biggest challenges facing the next generation? Finding the next generation and financing them. I was recently informed that if I wasn’t a third-generation farmer then finance institutes are not interested in looking at me. This insistence that a shop must be at the end of every road for families to exist in regional areas. The involvement of our consumer in the growing and producing of food and fibre is really a great opportunity for the industry to take up. I’m Sarah 🙂 I’m originally from Silicon Valley, CA but now live in Sydney. When not working, I try to spend as much time as possible playing sports or hiking. Being on the board has been great opportunity to meet passionate, committed people working ag across very different areas. I love the different perspectives and experiences. Its also really fun to travel to different areas and feel like there are often FFN people- members, partners, other directors- to connect with. Tell us about your career Sarah…how did you get from high-school to where you are today? I initially studied computer science and worked in the defence industry as a systems engineer and product manager. I loved the complex tech and big projects, and learned a ton about how to build software, manage projects, and ensure that tech actually solves a problem for the end user. 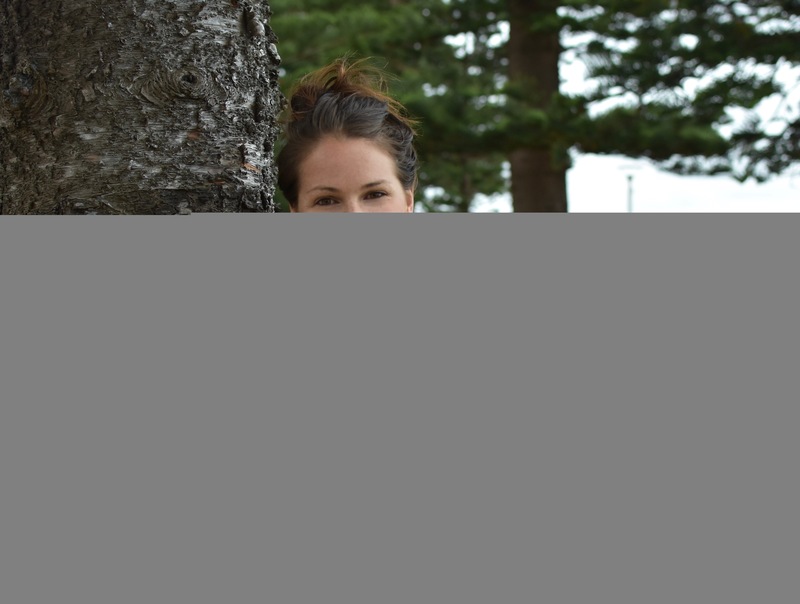 After an accidental gap year (Americans don’t take gap years!) where I lived on several farms in Argentina (including managing a goat dairy), I fell in love with agriculture. And, I saw that techs that I had been using/building in defence were applicable to ag, and could be used to improve the environment as well help farmers be more profitable. Around that time, Monsanto bought the Climate Corporation and Silicon Valley started paying attention to agriculture. I was hooked. I spent the next few years learning all I could about what is now “agtech”. This included consulting, research, a masters thesis on venture capital in ag, and a masters at MIT where I studied agribusiness, sustainability, and systems. Basically, I did everything I could to get into agriculture, and figure out my role in the industry (and pay my way at the same time). Moving to Australia was not at all planned- we moved for my Partner David’s job, but it was one of the best things that has happened to me. I founded AgThentic and was able to commercialize and grow a lot of what I had been doing informally or in piecemeal ways in the US. AgThentic has now grown as a business and team, and we’ve been fortunate enough to work with amazing agtech startups, industry bodies, grower groups, research orgs, and many more to help build the agtech ecosystem in Australia. Finally, after working with startups and investors and seeing the gap between the two, my business Partner and I decided to launch Tenacious Ventures, Australia’s first dedicated agrifood tech venture capital firm. I truly believe in this intervention for Australia, and it’s been a blast (and of course a challenge) to bring it to life. What was it like moving to Australia? I love it here! I’m fortunate enough to live by the beach, but also spend a lot of time in regional Australia. Meeting farmers and working with professionals in agriculture makes me feel like I’m getting to know Australia in a way that maybe my friends in the city aren’t, and I feel really fortunate. My dad for starters. For as long as I can remember he was teaching me sports, business, and overall toughness and resilience. He’s been an inspiration and a massive supporter, and also a great friend. I often hear his voice in my ear when I make decisions or struggle with a tough situation. For most of my childhood all I was interested in was playing sports. I ended up playing soccer at a pretty high level and being an athlete has really influenced how I see the world and what I value. The importance of working hard for something, over a long period of time, despite having to make sacrifices and suffer ups and downs is really important in sports, business, and life. Curating resilience and being tough, learning basic skills and practicing them even when you don’t want to, building and leading a team, focusing on the present moment and controlling what you can control, and also just outworking the competition- in whatever arena- are things that sports have taught me. Build relationships. Not only is it important to get out there and meet people, but also cultivate strong relationships with those you value and want to spend time with. And equally, spend as little time and energy as possible with those who you don’t respect or don’t respect you- life is too short, and good people are too hard to find! In your experience in agtech, what are some of the biggest challenges facing the next generation? There are tons of challenges with agtech right now, which is part of the reason it’s so exciting. There are tons of opportunities. But one challenge for the next generation is the skills that are needed to build and interact with technologies. Tech is changing incredibly fast, and all industries are competing for the best talent in areas like machine learning and AI, so agriculture needs to build and retain capabilities in these areas. I am really passionate about seeing more farmers as innovators themselves. They of course already are innovating, but I believe the next step is finding ways to take these solutions from solving a problem on one farm, to having an impact across an industry. This might be the farmer as the innovator, or in collaboration with an entrepreneur or company, or even as an advisor or investor. Building out these pathways where famers are central to the innovations being developed, and are rewarded for their role, is vital to the success of agtech. My name is Lachlan Lynch and I am working in Brisbane as a Senior Investment Associate for Laguna Bay. I grew up on a cattle station in North West Queensland and have always wanted to be involved in Agriculture. The life I am living now is significantly different to the one I saw over 10 years ago however it still focuses on a passion, Agriculture. Whilst I live in the city, I still have continuing involvement in the family farm. I have also co-founded YARN (Young Agribusiness Rural Network) an organisation providing networking events in Brisbane, to help connect and promote agriculture. I joined the FFN Board because I am passionate about educating and employing young people in agriculture. I believe that the opportunities within agriculture are so diverse and these need to be promoted. I wanted to be a part of the organisation as they do a fantastic job of promoting agriculture as well as providing great networking opportunities. What about your career…how did you become a Senior Investment Associate? Before moving to Brisbane, I grew up on the family cattle station in North-west Queensland where like most kids in the area I was educated through correspondence followed by boarding school. After leaving school, I realised that I wanted to work in Agriculture however wasn’t sure where, so I went Jackarooing through the Northern Territory and Queensland for a few years. Whilst I could have easily enjoyed continuing working on cattle stations, I realised that I was lacking business management skills, so I enrolled in Agribusiness at Marcus Oldham in Victoria. 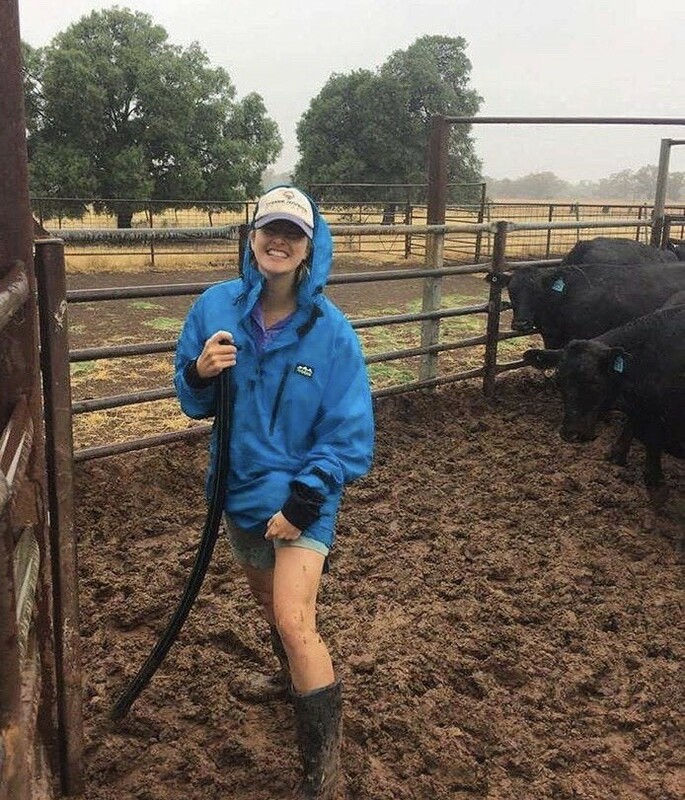 For a bloke from NW QLD, moving 3,500 km to Victoria to study, I was certainly putting myself outside of my comfort zone, however it meant that I gained exposure to other sectors in Agriculture, which I wouldn’t have otherwise experienced. While studying, I became particularly interested in institutional capital investing in agriculture and was lucky enough to get a 10-week placement with the specialist funds management firm, Laguna Bay. I now work as a Senior Investment Associate in the Investment team at Laguna Bay. My primary role involves identifying and analysing investment opportunities for our investors, as well as assisting with the management of existing assets in our portfolio. I was encouraged early on in my career to ensure that I take every opportunity to network with my peers. I have always tried to adhere to this advice, which has led to a number of great opportunities. Also, one of my favourite sayings is “keep it simple, stupid”. I use this every day when I am making decisions in and outside of my work life. In a world where people are trying to over complicate things, simple ideas are hard to come across. In your experience in Australian Agriculture, what are some of the biggest challenges facing the next generation? Access to capital – I believe that the next generation needs to look outside of the traditional capital available to farmers (bank debt) so that the industry can continue growing and expanding. This can include partnerships with downstream users or existing business, leasing assets off third parties and/or attracting external capital into your business. Social Licence to operate – agriculture is facing growing pressures from people/organisations outside of the industry (e.g. Animal activists). These groups want to ensure that we are operating in an ethical and sustainable way. The next generation is going to need to be mindful of these pressures and ensure they can meet these demands however this creates an opportunity to better market our commodities. FFN is a national, not-for-profit member network that supports young people involved in the agricultural industry and is committed to promoting the agricultural industry to the next generation as an exciting and rewarding career path. FFN is focused on enhancing industry connections, developing specialised skills in key areas and delivering a strong financial performance through robust budgeting. FFN is seeking a skilled and enthusiastic individual to assist with FFN’s activities, to be contracted on a part-time basis. FFN also contracts its bookkeeping and administrative functions. The successful candidate will work closely with these contractors. Ensure that to the best of your knowledge and ability, FFN has complied with all regulatory requirements for FFN’s financial information, reporting, disclosure requirements and internal controls over financial reporting. The role of Executive Officer is a part-time position. It is anticipated between 10-15 hours per week, however, this has the potential to develop depending on the engagement of partners and events. There will be annual reviews carried out by the Executive against the Strategic and Operating Plans, for which KPI’s will be developed at the beginning of the contract period in conjunction with the successful applicant. The Board believes it is important to build these in conjunction with the successful applicant as it does not see this role as purely executing a service but being actively involved in shaping the current and future FFN. We welcome any discussion interest parties may have, please email admin@futurefarmers.com.au. For enquiries on the application process contact Georgie Fraser on 0427676818. Please send your application to admin@futurefarmers.com.au before 31 March 2019.